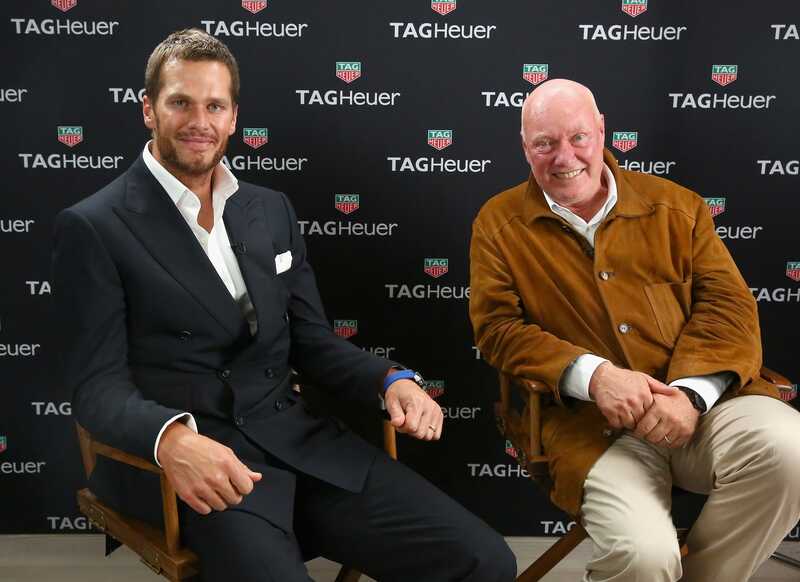 Tom Brady joins the TAG Heuer family as their latest brand ambassador. Four-time Super Bowl Champion, Tom Brady, has just been announced as the latest brand ambassador for the Swiss Avant-Garde watchmaker, TAG Heuer. The announcement was made during the official launch of the Carrera – Heuer 01 timepiece in New York City on Tuesday night where the President of the LVMH Group Watch Division and CEO of TAG Heuer, Jean-Claude Biver, surprised the attendees by officially introducing the new partnership with the New England Patriots’ star quarterback. Rumors are circling that the deal involved over $2 million dollars to sign plus a small stake in the company. Mr. Brady, clearly showing his excitement about the new venture, added, “I am thrilled to be part of the TAG ambassador team. I have always admired the craftsmanship of a luxury timepiece and the new Carerra 1 is no exception. The first nice watch I purchased was a TAG. So, it looks like I’ve now come full circle with this admired company”. During the course of the evening, Mr. Brady himself presented the Carrera – Heuer 01, the first of a new collection that will feature a new case, construction, design and caliber. Also joining in on the festivities were actress Molly Sims, who was the MC for the event, and DJ Eve, who provided the entertainment. 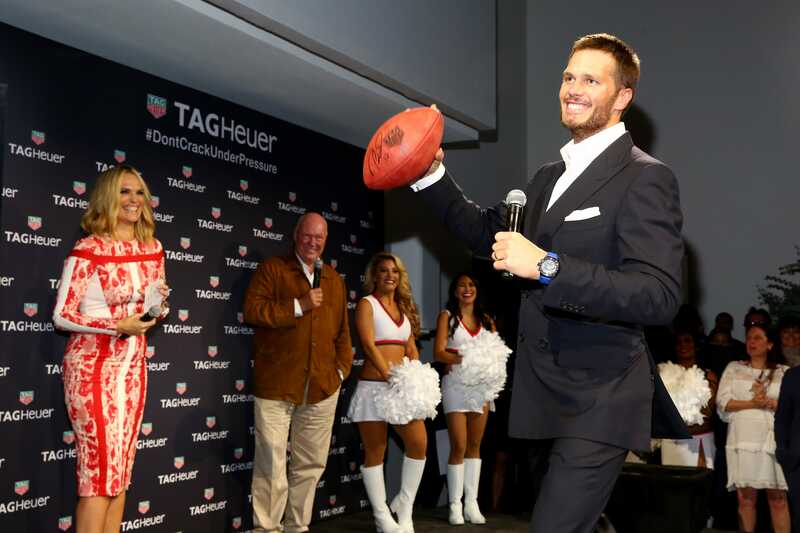 Guests were treated to watching Mr. Brady do what he does best – throw footballs. The throwing of the autographed footballs was to raise money for Best Buddies, a charity that helps those who suffer from intellectual and developmental disabilities to develop social, leadership and employment skills. A lucky few that were in attendance that night managed to take home a football as a very special keepsake.